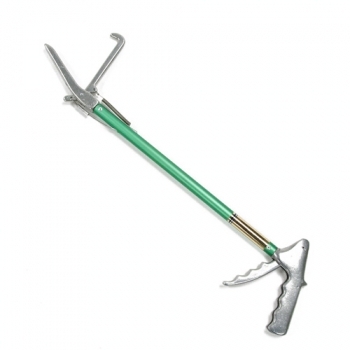 Wildlife Control Supplies Canada - Animal traps, snares, urine and more! Why shop at WCS Canada's Online Store? We offer the largest selection of wildlife animal control products in Canada. With our competitive prices, and swift shipping process times, you are able to enjoy your traps, snares, lures or other products in a prompt manner, and for a price that's more than reasonable. We look forward to supplying ALL Canadian residents in ALL Provinces and Territories no matter where you are located!!! International orders also are welcome. Squirrel, Chipmunk, Woodchuck, Rabbit, Raccoon, Skunk, Beaver, Muskrat, Otter, Mink, Fisher, Pine Marten, Weasel, Coyote, Fox, Wolf, Lynx, Bobcat, Mountain Lion, Ferral Cat, Bat and Rodent, Bear and Snake. Items that we offer can be easily found using the menu located at the upper left or your screen, or if you are searching for a specific animal or product, you can use our search bar on top of this page for your convenience. We don't just sell wildlife control supplies, we live it every day. From testing the traps, snares and lures we sell, to improving and making our own. We know the products we offer work, simply because we have tried them, over and over again. If we wouldn't use it, we wouldn't sell it. Traps, snares and other products from known manufacturers. Oneida Victor Traps, Koro Traps, Belisle Traps, Northwoods Traps, Bridger Traps, Ram Power Snare, Sauvageau Traps, Tomahawk live Traps, Ketch-all Snare Poles, Pure Urines and more! We are changing owners effective May 1st. Orders maybe slightly delayed while we transition.